Qualifying & BootStrapping Topics: Idea Generation, Screening, Development & Testing, Qualification, Strategy, Launching, Test Marketing, CoFounders, Cash, DIY, Learn, Small, Interns, KISS, Marketing, Social Media, Just say NO. Most Entrepreneurs dream of taking an idea and turning it into a successful company, but that takes time & $$$. Most Startups don’t get funded by Venture Capitalists [VCs] or Angel Investors. The money often comes from their savings, credit cards, family and/or friends. Because initial Cash Flow may be tight, you need to keep your budget realistic in order to save & stretch every dollar. That’s where BS comes in. 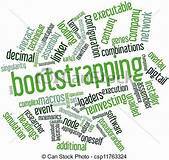 What is BootStrapping? It’s starting a company with little or no $$$, but utilizing the resources readily available to you. This means keeping your budget low, not taking a salary, working with your team to develop your product for “sweat equity” or out-sourcing some functions altogether. It may take you longer to get your product to market, because you are relying on yourself for everything – and often learning as you go. SWOT analysis – review your strength, weakness, opportunities & threats, then come up with a good “feasible” idea. Market research –review the changing needs, wants, & trends in your Target Market. Competition –SWOT analysis of Competitor can turn up “gaps” in their product line that you can fit into. Ideas can be many, but good ideas are few. This second step of new product development involves finding those good and feasible ideas and discarding those which aren’t. Let’s SWOT it again. What are your Strengths, Weaknesses, the Opportunity (potential customer’s need) & Threats from Competitors? What are the Trends in the Market? What is the expected ROI & how soon? A concept is a detailed strategy or blueprint version of the idea. When an idea is developed in every aspect so as to make it presentable, it is called a concept. All the ideas that pass the screening stage are turned into concepts for testing purpose. You wouldn’t want to launch a product without its concept being tested. The concept is now brought to the Target market. Some selected potential customers are chosen to test the concept. Information is provided to them to help them visualize the product. It is followed by questions & feedback at a meeting from both sides. You try to find out what the customer feels about the concept. Does the product fulfill their need or wants? Will they buy it when it’s actually launched?Their feedback helps the business to develop the concept further. 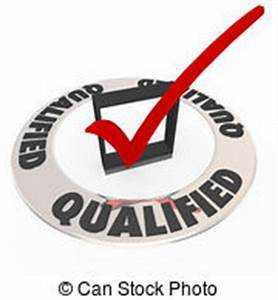 The qualification results help the business in coming up with the final concept to be developed into a product. Now that the business has a finalized concept, it’s time for it to analyse and decide the marketing, branding, and other business strategies that will be used. Product strategies are decided for the product: Competition, Costs & Pricing, Break-even point, etc. Once all the strategies are approved, the product concept is transformed into an actual tangible product. This development stage of new product development results in building up of a Prototype or a limited production model. All the branding and other strategies decided previously are tested and applied in this stage. The Prototype is introduced for research, testing & feedback in this phase. Customers feedback is taken and further changes (if required), are made to the product. This process is of utmost importance as it validates the concept and makes the product ready for the launch. The product is ready, so should be the marketing strategies. The final decisions are to be made. Markets are decided for the product to launch in. This stage involves briefing different departments about their duties and targets. Before you spend much $$$ on Marketing, you should talk to potential customers (tested & non-tested) about their level of interest in buying your product. Ask them how they would use it, what features they like & if it’s worth it to them. This will be the “final validation” your product. With good (+) results, you’ll be able justify spending the time & $$$ to grow your company. It will also help determine which functionality you need immediately, vs what can wait until you gain more traction. Having two brains with two perspectives leading the company can be critical. When BootStrapping, the vast majority of the work is done internally, so co-founders need to complement each other’s skill sets. If you’re good at different things, you have a better shot at being able to do virtually everything between the two of you, keeping expenses low. Not all businesses are equally suited for BootStrapping. The most successful BS’d companies have a business model that generates Cash as quickly as possible. Without little or no Cash Flow, you’ll burn your reserves before gaining any real “traction”. Spending out of a personal Bank account is careless & risky. Instead, have a Bank account specifically for the business. By creating a separate Business account, you can track and learn what adds cash + what diminishes cash from the business. Free tools such as Mint can help track spending & calculate burn rate. Without a salary, you won’t have money to spend–so don’t expect to live a posh life when first starting your company. Consider every purchase and only spend what’s absolutely necessary. If possible, share with a family member or friend to decrease expenses and come to terms with the idea of a lean lifestyle. To bootstrap, you need to be as efficient as possible. For example, that could mean doing small, inexpensive Marketing Tests until you find the best results. When designing your Website, first add the most important functionality in order to get a product to market, but to minimize your later work, make sure to consider additional features. When BootStrapping, hiring out for a job you could do yourself is an avoidable expense + a wasted organizational learning experience. If you don’t know how to do something, learn it. Neither my cofounder nor I knew how to write code, but we didn’t have money to hire a Coder. Don’t be afraid of learning new things; you’ll be surprised by your abilities. A large team could drain your cash more quickly than any other expense in your budget. Until you have a strong (+) Cash Flow, only hire people you “absolutely” need. If necessary, give current team members multiple job functions, and offer stock option incentives instead of cash. If you don’t have the capital to hire an employee on a short-term project, consider out-sourcing the work. You can easily out-source your Web design & Programming, but you will need to weigh the pros & cons of not having that person on-site. Websites that can help in your search for off-site talent include Elance & Freelancer. On these sites you can either post your project and have people bid on it, or you can search through the talent and contact potential candidates directly. #19. Use Interns . . .
at your startup is a win/win for both parties. The Intern gains valuable experience working at a startup and you get support at little to no cost. Since the team is small, the intern might have more influence than they would at a larger company, becoming involved in many aspects of the business. Being fancy doesn’t always get the job done. If you can work at home or in your garage – do it. Pick functional over “posh” office space. Start with the free version of QuickBooks. Get “free” Business cards. Consider refurbished Computers instead of the newest. Use a free Banking service. Saving on little things adds up. Incorporating & securing your Website domain are major exceptions to the “price over quality” rule. If you intend to get VC funding, it’s better to have a clean incorporation record. Domain. Don’t think you can buy it later – once you have more traction. It turns out that once you get traction, the price increases exponentially. Buy the domain outright from the beginning, and start building brand equity around it from day one. Hiring a PR firm can be very expensive, and there is no guarantee that they are going to get you featured in an industry Magazine or Blog. Try outsourcing your press releases, but contact reporters on your own. Find stories and outlets that are related to your project and come up with a simple pitch for a story idea. Free Services: MediaSync to get a reporter’s Email and contact them directly. Reporters are interested in hearing from the leader of a company, and if you have a good story idea, they will respond. Help a Reporter is another site worth mentioning — reporters search for experts like you to quote in their stories. It never hurts to make yourself available. #23. use Social Media Networks . . .
like Facebook & Twitter to connect with your potential & current customers. Both are “free” networks that you can use to promote your business to a broad audience. Become the expert in your field and Blog on your website or other sites related to your industry. This will keep customers coming back often, meaning higher potential for sales. Remember, your goal is to get as much “traction” as possible to raise a big round. While you chase Revenue, you will randomly encounter tricky opportunities that achieve a significant bump in growth at the expense of modifying your operational model or product offering. Evaluate these opportunities before jumping on them: Seize them, if they’re aligned with your long-term goals, & decline them if they’ll become a huge distraction from achieving further growth. At an early stage, what might appear to be a revenue touchdown, may distract you from building a real replicable business. When you’re so small, Vendors & Suppliers won’t want to work with you. It will take a personal touch to get what you need. Work to build personal connections with partners that may help your business in the long run. This may help obtain the resources your startup needs to get moving, at a price that won’t break the bank. Don’t be afraid to share your story and appeal to people’s human side. To succeed as a BootStrapped startup, you have to persevere for the answer you need. Conclusion 1: BootStrapping a business is difficult, but it’s by no means impossible. With the right amount of hard work, collaboration, & passion for your company, it’s almost easy to give up a chunk of your personal life today for the sake of your future. Ultimately, BS is making an investment in yourself that will pay off for your company in the long run. Conclusion 2: BootStrapping your company can be a rewarding and beneficial experience. It demonstrates how you can accomplish a lot with a small amount of capital. Once you have proven your product in the market, you may need to take in outside capital to help with growth. But continue to manage your growing budget as if you’re still BS’g. It will help you keep costs down and stretch your money toward success. Comments: Do you have any other Tips on how to qualify & BootStrap your idea? For more Info, click on BootStrapping.